We shared with you how to speed up iOS 7 powered older devices with a few little tips and adjustments. However, things get a bit easier when you decide to jailbreak your device. 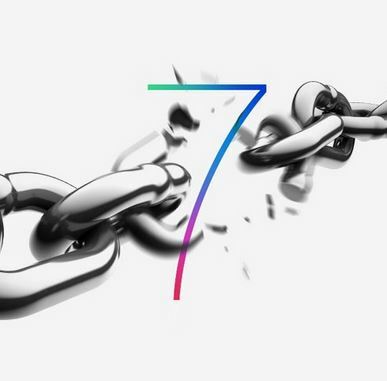 Here are the top jailbreak iOS 7 tweaks to get that old responsiveness back to your iOS 7 device. While it may not be end all, it would definitely improve the overall OS experience. 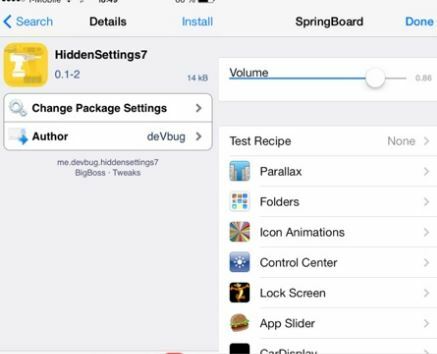 – HiddenSettings7: Yes, we can’t stop talking Hidden Settings as this iOS 7 jailbreak tweak let you have the premium access to Cupertino company’s secret internal settings. Of course not on the level of Android, however, there are tons of customizable options that you can play around with. HiddenSettings7 is free BigBoss repo tweak recommended for advanced users. For more, read: Updated iOS 7 Jailbreak Tweaks – 3D Animation, Hidden iOS 7 Menus, App Switcher, and More! 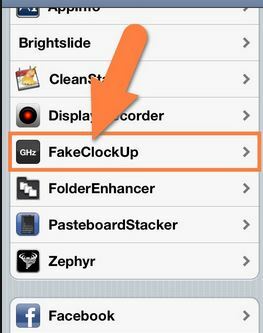 – FakeClockUp: This iOS 7 tweak reduces the time iOS animations take to complete while not affecting the battery life. FakeClockUp can be used on iOS 7 jailbroken devices. Download for free from here. – Nitrous iOS 7 tweak: Available for $0.99 on BigBoss repo in Cydia, Nitrous is fully compatible with iOS 7. 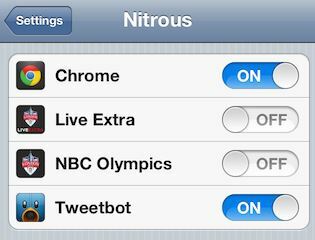 Nitrous iOS 7 tweak speeds up web browsing and improves performance of third-party apps like Chrome and other heavy apps. 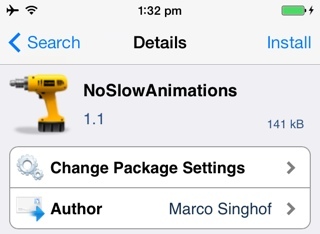 – NoSlowAnimations: This tweak doesn’t have any complex settings, in fact, it doesn’t have any settings. Simply get it for free from BigBoss Cydia, reboot and ta da! However, it is recommended to enable the Reduce Motion settings from Settings > General > Accessibility > Reduce Motion. Completely compatible with iOS 7, NoSlowAnimations iOS 7 tweak will almost halve the time animations usually take. Great and simply tweak. 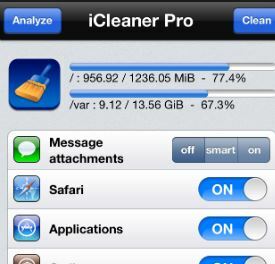 – iCleaner Pro: You can easily improve any sluggish device by cleaning up its memory. From cache to cookies, our tech gadgets act filled up with unneeded temporary files. iCleaner Pro iOS 7 tweak lets you clean that junk off your iDevice. Not yet out for iOS 7, it works perfectly with the latest iOS 7 jailbreak. Get it for free from here.